During our Beta period we will offer a basic tournament schedule, but expect to make strides and grow these tournaments to be some of the best online. 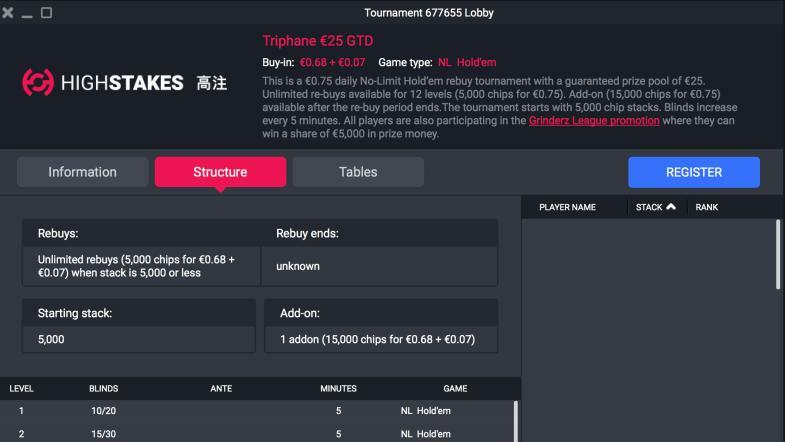 Meaning the biggest buy-ins and structures with the correct element of skill and reasonable tournament fee. Note: All MTT Schedules are subject to change and expected expansion. This structure runs Monday - Friday on everyday. Timezones are in GMT (Greenwich Mean Time) or BST (British Summer Time).